Posted on Wednesday, September 9th, 2015 at 10:44 am. The United Nations Membership for Taiwan – Keep Taiwan Free March & Rally has become a well-known event for many residing in the Greater New York Area. This movement started in hopes of gaining UN membership for Taiwan through the Committee for the Admission of Taiwan to the United Nations (CATUN). The main goals of the event are to promote Taiwan’s inclusion in the international community, and to Keep Taiwan Free to exercise universal values such as human rights, democracy and self-determination for the 23 million people of Taiwan. Although there are no legal obstacles for Taiwan to join the UN, Taiwan has constantly been rejected in its attempts to join international organizations due to political opposition. 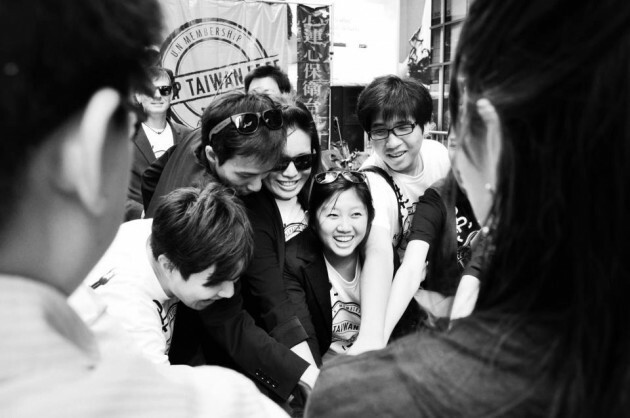 The organizers and supporters of the event wish to inspire others to ignite change and awareness regarding Taiwan’s recognition in the global community. Coming out to this event will give attendees the opportunity to learn about Taiwan from multiple generations of Taiwanese – from first generation grandparents to second generation Taiwanese American college students and working professionals! There will be representatives from a number of organizations attending and speaking as well. Don’t miss out! This year’s rally takes on Saturday, September 12, 2015 from 1pm to 4pm at 1 Dag Hammarskjold Plaza, New York, NY. Jenny Wang is a young working professional in the advertising industry. She has been heavily involved in the Taiwanese American community for several years – starting with her humble beginnings at Rutgers’ Taiwanese American Student Association and was a Formosa Foundation Ambassador – class of 2010. She has been involved with the United Nations Membership for Taiwan – Keep Taiwan Free movement since 2011. Jenny is also the president and co-founder of Outreach for Taiwan, which is a young organization focusing on spreading awareness about Taiwan’s past, present and future.